The holiday season is not completed without some plaid. Yes, I'm mad for plaid! 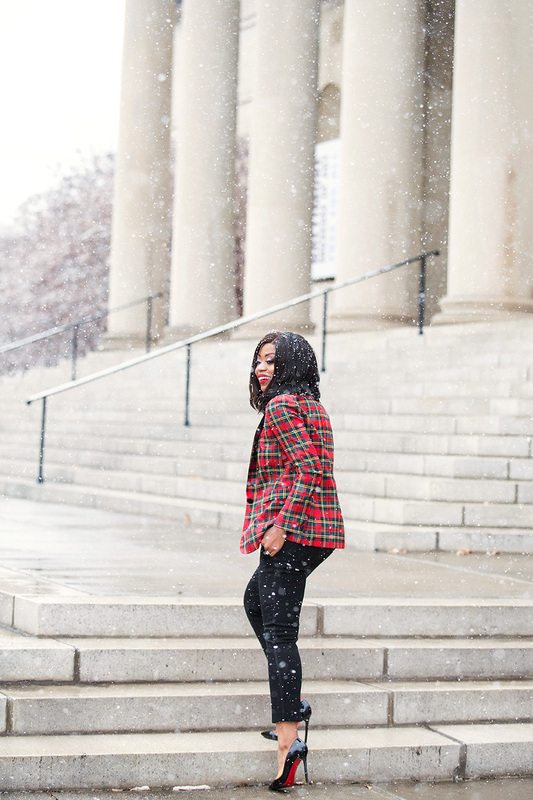 Plaid is a festive print for holiday and it adds a preppy feel to a look. 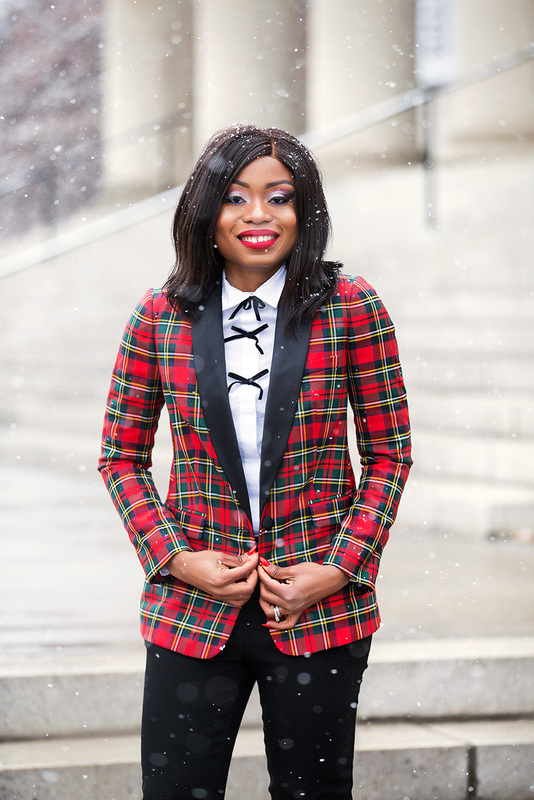 Every holiday season, I always incorporate plaid prints into my holiday looks. Last holiday season, I layered a plaid top with button-down shirt for work. This year, this plaid blazer is no exception. I love the fitted and tailored look. This look makes for a great formal work event. Such a cute outfit! I went to buy the off the shoulder plaid top but it sold out just like this jacket lol. This look is so magical in the snow!